The Mobile Play Laboratory brings creative play experiences to low-income kids where they live and learn in Dubuque, Iowa. 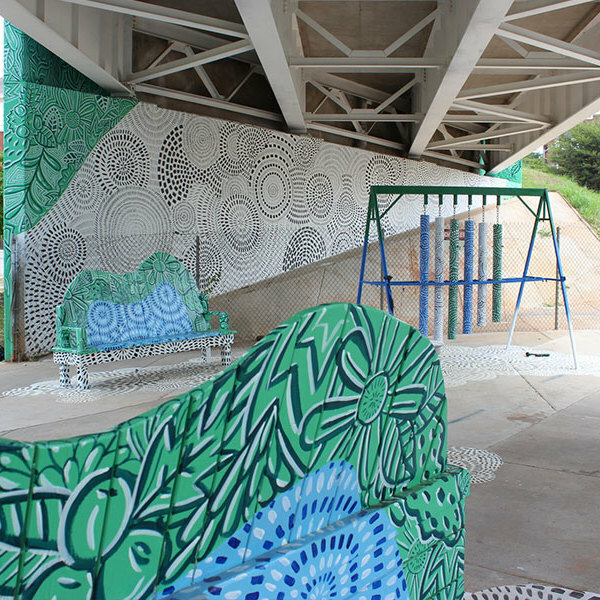 In partnership with the City of Dubuque and the Dubuque School District, the Mobile Play Laboratory travels to three regularly visited parks and three elementary schools throughout the Dubuque community. While at the laboratory, kids can partake in a bouldering wall, robotics laboratory, magnetism wall, LEGO® building zone, complex machine lab and an art studio. The lab also has the flexibility to switch out activities over time, based on community feedback. 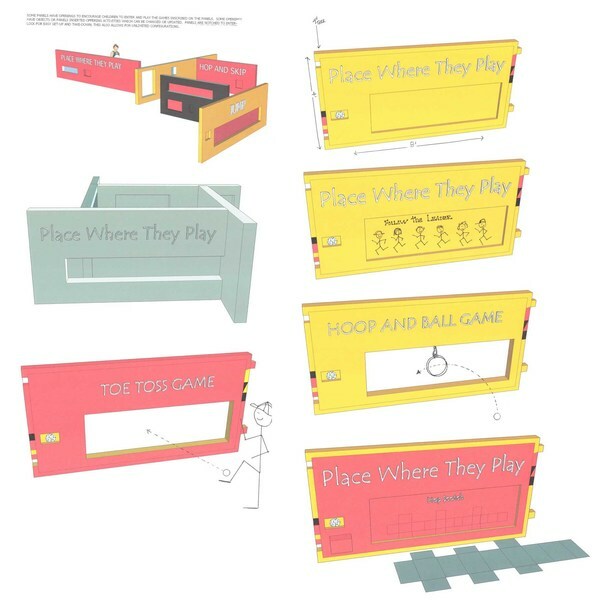 As an added benefit, the Mobile Play Laboratory is extremely durable, easy to transport and easy to securely store between use. 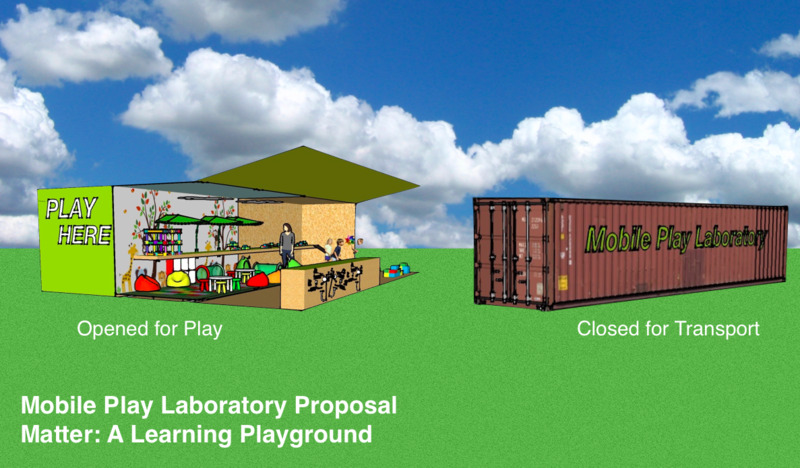 The Mobile Play Lab has increased the vibrancy of its various locations. It has also created unique opportunities for more meaningful play to occur. Thanks to Mobile Play Lab, the community is more aware of the powerful effects of meaningful play, community access, community cohesion and investment in creative play. 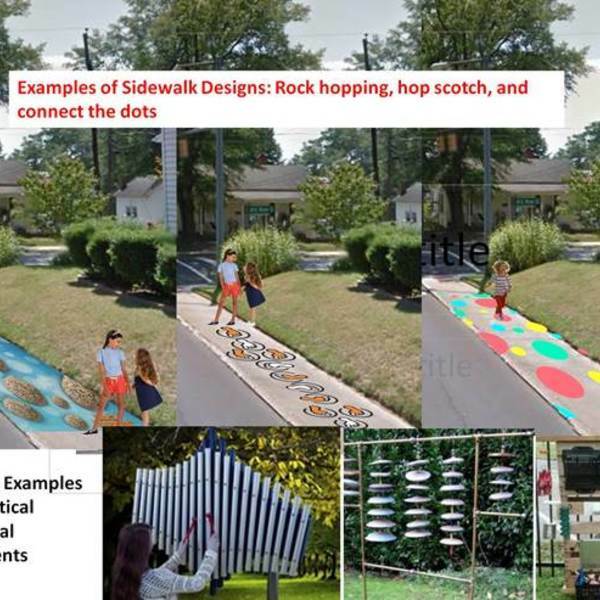 The City of Kannapolis uses art and music on sidewalks and crosswalks in an effort to encourage kids to walk downtown.